With all the criticisms Chris Gayle has been facing, the Jamaican cricketer on Monday showed that he is still in top shape by setting a smashing T20 record in Australia’s Big Bash T20 League. Chris Gayle hit a 12-ball half-century to set the record for the fastest fifty in T20 cricket. This T20 record was previously held by India’s Yuvraj Singh against England at the 2007 World Twenty20. 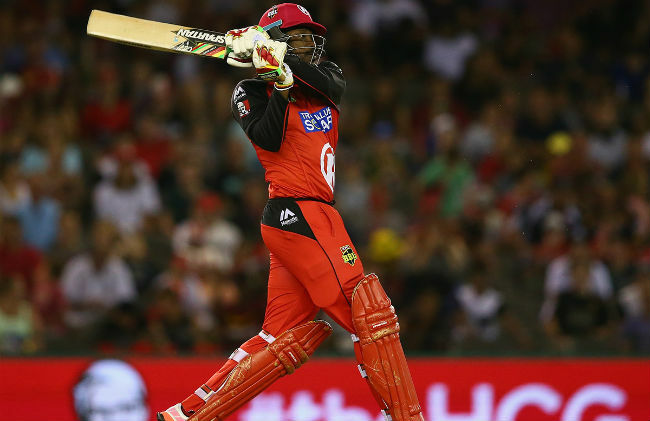 But despite Gayle’s impressive performance, he did not manage to help his team, the Melbourne Renegades to win as they were bowled out for 143 and couldn’t match the Adelaide Strikers’ 170 after 15.5 overs. The loss signals the Renegades’ exit from this year’s Big Bash League and Chris Gayle’s exit from a tournament which was marked by criticisms and controversy brought on after he invited an Australian journalist out for a drink during an interview. His remarks were met with harsh criticisms from the international media and many all over the world who deemed his comments inappropriate and sexist. Gayle, 36, also holds other impressive records: He is also the only player to score a test triple century, an ODI double century, and a T20 century. He is also one of only four players who have scored two triple centuries at Test level: 317 against South Africa in 2005, and 333 against Sri Lanka in 2010.